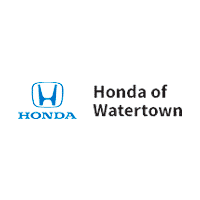 There are new cars for sale in Watertown as part of the extensive inventory at Honda of Watertown. New Honda cars like the latest Honda Civic and Honda Accord models are excellent choices for Waterbury families looking to find a reliable vehicle. For those Southbury drivers looking for more cargo features with the same great Honda technology features like Honda Sensing, the new CR-V and HR-V Honda SUVs are for sale as well as in Watertown. Our Honda dealership offers a number of rotating Honda lease deals and new vehicle specials. Contact our Watertown dealership team today to find the new car or new SUV that fits your budget and driving needs. Contact our car financing team for car financing help. EPA 40 MPG Hwy/33 MPG City! iPod/MP3 Input, Bluetooth, Back-Up Camera. Modern Steel Metallic exterior and Black interior, LX trim. Warranty 5 yrs/60k Miles - Drivetrain Warranty; CLICK ME!KEY FEATURES INCLUDEBack-Up Camera, iPod/MP3 Input, Bluetooth. Rear Spoiler, MP3 Player, Keyless Entry, Steering Wheel Controls, Child Safety Locks. Honda LX with Modern Steel Metallic exterior and Black interior features a 4 Cylinder Engine with 128 HP at 6600 RPM*.EXPERTS RAVEGreat Gas Mileage: 40 MPG Hwy.VISIT US TODAYAll preowned vehicles are covered by the Lorensen Advantage, including extended warranties and free services. For more information go to www.lorensen.com/lorensen-advantage.Horsepower calculations based on trim engine configuration. Fuel economy calculations based on original manufacturer data for trim engine configuration. Please confirm the accuracy of the included equipment by calling us prior to purchase. Modern Steel Metallic exterior and Black interior, LX trim. iPod/MP3 Input, Bluetooth, Back-Up Camera. EPA 40 MPG Hwy/33 MPG City! Warranty 5 yrs/60k Miles - Drivetrain Warranty; SEE MORE!KEY FEATURES INCLUDEBack-Up Camera, iPod/MP3 Input, Bluetooth. Rear Spoiler, MP3 Player, Keyless Entry, Steering Wheel Controls, Child Safety Locks. Honda LX with Modern Steel Metallic exterior and Black interior features a 4 Cylinder Engine with 128 HP at 6600 RPM*.EXPERTS RAVEThe seats offer just enough adjustability. They are wide, allow plenty of leg movement and are comfortable even on longer trips. -Edmunds.com. Great Gas Mileage: 40 MPG Hwy.WHY BUY FROM USAll preowned vehicles are covered by the Lorensen Advantage, including extended warranties and free services. For more information go to www.lorensen.com/lorensen-advantage.Horsepower calculations based on trim engine configuration. Fuel economy calculations based on original manufacturer data for trim engine configuration. Please confirm the accuracy of the included equipment by calling us prior to purchase. EPA 40 MPG Hwy/33 MPG City! LX trim, Platinum White Pearl exterior and Black interior. iPod/MP3 Input, Back-Up Camera, Bluetooth. Warranty 5 yrs/60k Miles - Drivetrain Warranty; SEE MORE!KEY FEATURES INCLUDEBack-Up Camera, iPod/MP3 Input, Bluetooth Rear Spoiler, MP3 Player, Keyless Entry, Steering Wheel Controls, Child Safety Locks. Honda LX with Platinum White Pearl exterior and Black interior features a 4 Cylinder Engine with 128 HP at 6600 RPM*.EXPERTS REPORTEdmunds.com explains The seats offer just enough adjustability. They are wide, allow plenty of leg movement and are comfortable even on longer trips.. Great Gas Mileage: 40 MPG Hwy.VISIT US TODAYAll preowned vehicles are covered by the Lorensen Advantage, including extended warranties and free services. For more information go to www.lorensen.com/lorensen-advantage.Horsepower calculations based on trim engine configuration. Fuel economy calculations based on original manufacturer data for trim engine configuration. Please confirm the accuracy of the included equipment by calling us prior to purchase. FUEL EFFICIENT 36 MPG Hwy/31 MPG City! Smart Device Integration, Aluminum Wheels, Back-Up Camera, Bluetooth, iPod/MP3 Input. Aegean Blue Metallic exterior and Black interior, Sport trim. SEE MORE!KEY FEATURES INCLUDEBack-Up Camera, iPod/MP3 Input, Bluetooth, Aluminum Wheels, Smart Device Integration Rear Spoiler, MP3 Player, Keyless Entry, Steering Wheel Controls, Child Safety Locks. Honda Sport with Aegean Blue Metallic exterior and Black interior features a 4 Cylinder Engine with 128 HP at 6600 RPM*.EXPERTS REPORTGreat Gas Mileage: 36 MPG Hwy.WHO WE AREAll preowned vehicles are covered by the Lorensen Advantage, including extended warranties and free services. For more information go to www.lorensen.com/lorensen-advantage.Horsepower calculations based on trim engine configuration. Fuel economy calculations based on original manufacturer data for trim engine configuration. Please confirm the accuracy of the included equipment by calling us prior to purchase. Moonroof, Smart Device Integration, Keyless Start, Aluminum Wheels, Back-Up Camera, Satellite Radio, Bluetooth, iPod/MP3 Input. EPA 36 MPG Hwy/31 MPG City! EX trim, Lunar Silver Metallic exterior and Black interior. CLICK NOW!KEY FEATURES INCLUDESunroof, Back-Up Camera, Satellite Radio, iPod/MP3 Input, Bluetooth, Aluminum Wheels, Keyless Start, Smart Device Integration Rear Spoiler, MP3 Player, Keyless Entry, Steering Wheel Controls, Child Safety Locks. Honda EX with Lunar Silver Metallic exterior and Black interior features a 4 Cylinder Engine with 128 HP at 6600 RPM*.EXPERTS CONCLUDEThe seats offer just enough adjustability. They are wide, allow plenty of leg movement and are comfortable even on longer trips. -Edmunds.com. Great Gas Mileage: 36 MPG Hwy.WHO WE AREAll preowned vehicles are covered by the Lorensen Advantage, including extended warranties and free services. For more information go to www.lorensen.com/lorensen-advantage.Horsepower calculations based on trim engine configuration. Fuel economy calculations based on original manufacturer data for trim engine configuration. Please confirm the accuracy of the included equipment by calling us prior to purchase. EPA 38 MPG Hwy/30 MPG City! Back-Up Camera, iPod/MP3 Input, Lane Keeping Assist, Bluetooth. LX trim, Modern Steel Metallic exterior and Black interior. Warranty 5 yrs/60k Miles - Drivetrain Warranty; CLICK ME!KEY FEATURES INCLUDEBack-Up Camera, iPod/MP3 Input, Bluetooth, Lane Keeping Assist MP3 Player, Keyless Entry, Child Safety Locks, Steering Wheel Controls, Electronic Stability Control. Honda LX with Modern Steel Metallic exterior and Black interior features a 4 Cylinder Engine with 158 HP at 6500 RPM*.VEHICLE REVIEWSGreat Gas Mileage: 38 MPG Hwy.BUY FROM AN AWARD WINNING DEALERAll preowned vehicles are covered by the Lorensen Advantage, including extended warranties and free services. For more information go to www.lorensen.com/lorensen-advantage.Horsepower calculations based on trim engine configuration. Fuel economy calculations based on original manufacturer data for trim engine configuration. Please confirm the accuracy of the included equipment by calling us prior to purchase. FUEL EFFICIENT 38 MPG Hwy/30 MPG City! Platinum White Pearl exterior and Black interior, LX trim. Back-Up Camera, iPod/MP3 Input, Bluetooth, Lane Keeping Assist. Warranty 5 yrs/60k Miles - Drivetrain Warranty; READ MORE!KEY FEATURES INCLUDEBack-Up Camera, iPod/MP3 Input, Bluetooth, Lane Keeping Assist. MP3 Player, Keyless Entry, Child Safety Locks, Steering Wheel Controls, Electronic Stability Control. Honda LX with Platinum White Pearl exterior and Black interior features a 4 Cylinder Engine with 158 HP at 6500 RPM*.EXPERTS RAVEEdmunds.com explains The Civic feels strong when you roll onto the gas to execute a pass and quick at city speeds thanks to ample low-end power.. Great Gas Mileage: 38 MPG Hwy.OUR OFFERINGSAll preowned vehicles are covered by the Lorensen Advantage, including extended warranties and free services. For more information go to www.lorensen.com/lorensen-advantage.Horsepower calculations based on trim engine configuration. Fuel economy calculations based on original manufacturer data for trim engine configuration. Please confirm the accuracy of the included equipment by calling us prior to purchase. Back-Up Camera, Bluetooth, Lane Keeping Assist, iPod/MP3 Input. Platinum White Pearl exterior and Ivory interior, LX trim. EPA 38 MPG Hwy/30 MPG City! Warranty 5 yrs/60k Miles - Drivetrain Warranty;KEY FEATURES INCLUDEBack-Up Camera, iPod/MP3 Input, Bluetooth, Lane Keeping Assist. MP3 Player, Keyless Entry, Child Safety Locks, Steering Wheel Controls, Electronic Stability Control. Honda LX with Platinum White Pearl exterior and Ivory interior features a 4 Cylinder Engine with 158 HP at 6500 RPM*.VEHICLE REVIEWSThe Civic feels strong when you roll onto the gas to execute a pass and quick at city speeds thanks to ample low-end power. -Edmunds.com. Great Gas Mileage: 38 MPG Hwy.WHY BUY FROM USAll preowned vehicles are covered by the Lorensen Advantage, including extended warranties and free services. For more information go to www.lorensen.com/lorensen-advantage.Horsepower calculations based on trim engine configuration. Fuel economy calculations based on original manufacturer data for trim engine configuration. Please confirm the accuracy of the included equipment by calling us prior to purchase. Platinum White Pearl exterior and Black interior, LX trim. iPod/MP3 Input, Back-Up Camera, Lane Keeping Assist, Bluetooth. EPA 38 MPG Hwy/30 MPG City! Warranty 5 yrs/60k Miles - Drivetrain Warranty; CLICK NOW!KEY FEATURES INCLUDEBack-Up Camera, iPod/MP3 Input, Bluetooth, Lane Keeping Assist MP3 Player, Keyless Entry, Child Safety Locks, Steering Wheel Controls, Electronic Stability Control. Honda LX with Platinum White Pearl exterior and Black interior features a 4 Cylinder Engine with 158 HP at 6500 RPM*.EXPERTS ARE SAYINGEdmunds.com explains The Civic feels strong when you roll onto the gas to execute a pass and quick at city speeds thanks to ample low-end power.. Great Gas Mileage: 38 MPG Hwy.VISIT US TODAYAll preowned vehicles are covered by the Lorensen Advantage, including extended warranties and free services. For more information go to www.lorensen.com/lorensen-advantage.Horsepower calculations based on trim engine configuration. Fuel economy calculations based on original manufacturer data for trim engine configuration. Please confirm the accuracy of the included equipment by calling us prior to purchase. LX trim, Lunar Silver Metallic exterior and Black interior. Back-Up Camera, iPod/MP3 Input, Lane Keeping Assist, Bluetooth. FUEL EFFICIENT 38 MPG Hwy/30 MPG City! Warranty 5 yrs/60k Miles - Drivetrain Warranty; CLICK NOW!KEY FEATURES INCLUDEBack-Up Camera, iPod/MP3 Input, Bluetooth, Lane Keeping Assist MP3 Player, Keyless Entry, Child Safety Locks, Steering Wheel Controls, Electronic Stability Control. Honda LX with Lunar Silver Metallic exterior and Black interior features a 4 Cylinder Engine with 158 HP at 6500 RPM*.EXPERTS ARE SAYINGEdmunds.com explains The Civic feels strong when you roll onto the gas to execute a pass and quick at city speeds thanks to ample low-end power.. Great Gas Mileage: 38 MPG Hwy.MORE ABOUT USAll preowned vehicles are covered by the Lorensen Advantage, including extended warranties and free services. For more information go to www.lorensen.com/lorensen-advantage.Horsepower calculations based on trim engine configuration. Fuel economy calculations based on original manufacturer data for trim engine configuration. Please confirm the accuracy of the included equipment by calling us prior to purchase. Need help picking a new Honda model? Browse our comparisons of popular models, like the Honda Civic vs. Accord. The make the drive to our Honda dealership just outside of Southbury to find your new car today. Contact our Honda financing team to lock in your new car offer today. Visit our Honda dealership to compare cars like the Honda Pilot vs Toyota Highlander.